Dr. Jean M. Barr, Professor of Accompanying and Chamber Music and the Director of the Piano Accompanying and Chamber Music Degree Program at Eastman School of Music is retiring at the end of the 2018-19 school year. Eastman is proud to present an alumni concert, organized by alumni and friends, in her honor on May 8, 2019 in Kilbourn Hall at the Eastman School of Music. This event is for the entire Eastman community at large. The program will feature former students and esteemed alumni of the graduate programs in Piano Accompanying and Chamber Music (several coming from out of state and even out of the country), as well as individuals paying tribute to Jean for her contributions to the Eastman School and the collaborative piano profession. Dr. Jean M. Barr studied at the University of Southern California with Gwendolyn Koldofsky and at Northwestern University with Gui Mombaerts. The first keyboard artist in the United States to be awarded a doctoral degree in accompanying, at the outset of her career she was accompanist for the master classes of Jascha Heifetz, Gregor Piatigorsky, William Primrose and Martial Singher. 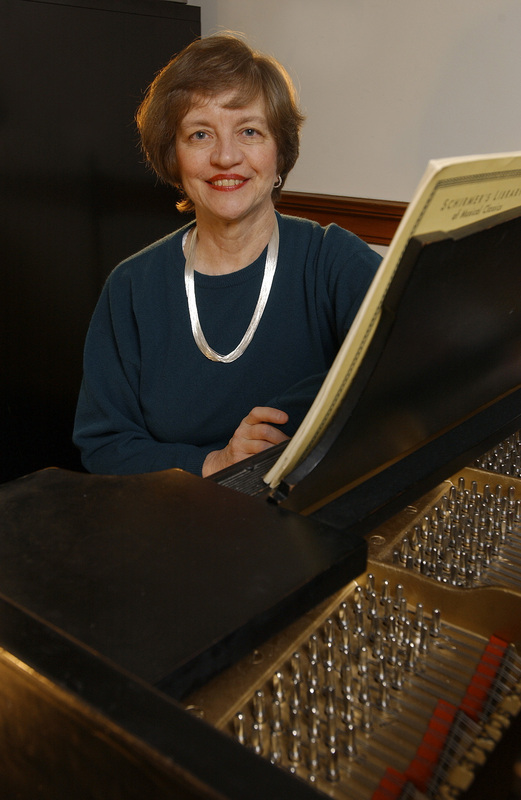 Prior to joining the Eastman faculty to establish graduate degrees in Piano Accompanying and Chamber Music, Jean Barr taught at the University of Southern California, the University of Texas at Austin, Arizona State University and, in the summers, at the Music Academy of the West in Santa Barbara, California. She also was on the summer faculty of the International Workshops for many years. Considered by many to be a pioneer in her field, Jean Barr has sought to engender a broad appreciation of the collaborative arts. In recent years she organized significant chamber music concerts for the National Conference on Piano Pedagogy and subsequently for national conventions of the Music Teachers National Association. She also was the first chair of MTNA’s Collaborative Performance Advisory Committee. Most recently, the National Conference on Keyboard Pedagogy created a Committee on Collaborative Performance, chaired by Dr. Barr. In 1994 Jean Barr received the Eastman School of Music’s prestigious Eisenhart Award for Excellence in Teaching. She was the recipient of the University of Rochester’s Susan B. Anthony Lifetime Achievement Award in 2004. Her most recent honor is the Music Teachers National Association 2008 Achievement Award. This concert is free and open to the public and will be available via live stream here: https://www.esm.rochester.edu/live/kilbourn/. About 900 students are enrolled in Eastman’s Collegiate Division—about 550 undergraduate and 350 graduate students. Students come from almost every state, and approximately 20 percent are from other countries. They are guided by more than 95 full-time faculty members. Six alumni and three faculty members have been awarded the Pulitzer Prize for Music, and numerous alumni and faculty have received Grammy Awards. Each year, Eastman’s students, faculty members, and guest artists present more than 900 concerts to the Rochester community.